The East Central Association of REALTORS® is an organization designed to bring you the most convenient method to find the home that best suits the needs of your family. Our organization brings the most experienced and knowledgeable real estate professionals in Genesee County. We can assist you in finding the best homes available and to make sure you've made the most informed buying decision. Let our members show you what great buys are available in one of the friendliest communities you will find anywhere. Please let us help you to find what you want in your next home or investment property. If you have any questions, please select the Contact Us menu. Section 1. To unite those engaged in the recognized branches of the real estate profession in this community for the purpose of exerting a beneficial influence upon the profession and related interests. Section 5. To unite those engaged in the real estate profession in the community with the Michigan Association of REALTORS® and the NATIONAL ASSOCIATION OF REALTORS®, thereby furthering their own objectives throughout the state and nation and obtaining the benefits and privileges of membership therein. Section 7. 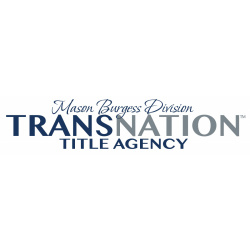 The Association may compile statistical reports and data including but not limited to sold data concerning listings produced by the Association of REALTORS®. Such reports are not a part of the Multiple Listing Service even though the source of some or all of such information is derived from the Multiple Listing Service and may be supplied to eligible classifications of memberships of the Association. The eligible classifications of memberships and the fees are to be determined annually by the Directors of the East Central Association of REALTORS®.